You likely know the difference between using your credit card or your debit card, but do you know when it’s more appropriate to use your credit card rather than your debit card, or vice versa? The most obvious difference between using your credit card or your debit card is the way the funds are taken from you. Use your debit card and the money is pulled out of your checking account, but if you use your credit card it will be added to any existing (if any) loan balances on your credit card statement. 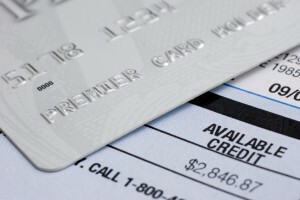 Beyond whether or not you’d like the funds to come directly from your checking when making a purchase there’s no glaringly obvious reason why you should use one card versus the other, but if you take a look at some of the fine print you’ll start to realize there are obvious benefits to using your credit card instead of your debit card, or the other way around. Let’s take a look at just a few of them. When you shop online. When you buy something from the internet you’ll want to use your credit card because the funds don’t come immediately out of your checking. This way if you have any disputes with the online merchant you can call up your credit card company and get the charge removed. This also works to protect your cash balances because if someone somehow gets a hold of your credit card number they can only ring up a bill that you don’t have to pay (because you didn’t charge it), but if they get ahold of your debit card number they can cause you one major headache. When you buy a big-ticket item. You might not be aware of this but most credit card issuers offer an extended warranty on anything you buy with credit. Obviously you’ll want to review your credit cards terms but this can come in handy as some credit card issuers automatically double the manufacturers warranty. When you want to build your credit history. Using your debit card won’t build you any credit but if you use your credit card and pay it off on a monthly basis you’ll start to build your credit up quickly. When you want to rent a car. Many credit cards offer damage protection coverage when you pay for a rental car with them. This offers the same coverage as the damage insurance that car rental companies will try to sell you. Pay with your card and save yourself some money. You want to earn points. Most credit cards nowadays offer reward points which can be redeemed for cash, gift cards and even airline tickets. If you don’t mind using your card for everything and paying the bill off at the end of the month you’ll rack up the points real quickly. You want cash. If you want to get cash quick without paying any ATM fees then just use your debit card and ask for cash back at the merchant. Quick, free and easy. You want to avoid interest charges. Obviously if you use your credit card you will likely be charged interest for any purchases you put on your credit card. This is not the case when you use your debit card because the funds are transferred automatically out of your checking account. You don’t want (yet another) bill to pay. Let’s face it, we’re overrun with bills every single month. If you want to streamline your life and just don’t want to have yet another bill to pay then use your debit card. If you don’t have a balance on your credit card then you don’t get a bill. Good stuff! Depending on the plan, you really can earn a good deal of points. I used to work in the hotel industry and so got to meet a number of business men who used their own credit card to get points, then got reimbursed by their companies. These guys would end up having a ridiculous amount of points or air miles. Credit and debit card both have their own advantages. If you use credit card, please pay the bills on time. Next post: A 40-Year Wish List – What An Outrage!